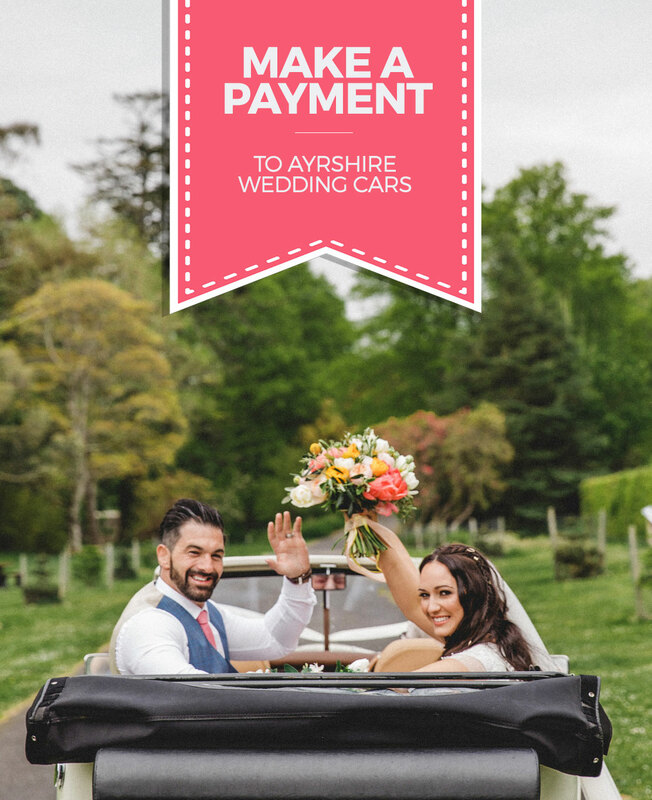 Ayrshire Wedding Cars require a minimum deposit of £40 per vehicle to confirm a booking. We want everything to run as smoothly as possible, from choosing your car to securing the date with a deposit and ensuring your trip is a memorable experience. Payments can be made by credit / debit card or PayPal through our site or by cash, cheque or postal order.